Jabiru is a town in the Northern Territory of Australia. 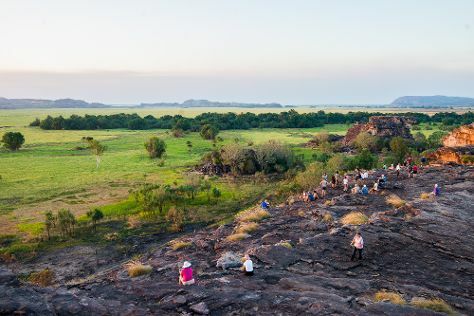 Deepen your sense of the past at sights like Ubirr and Nourlangie Rock. Get outdoors at Maguk Gorge and Nanguluwur Art Site. There's more to do: identify plant and animal life at Anbangbang Billabong and explore the striking landscape at Nourlangie Rock. To see other places to visit, more things to do, ratings, and more tourist information, go to the Jabiru (Kakadu National Park) online vacation maker . Manchester, UK to Jabiru (Kakadu National Park) is an approximately 31-hour flight. Due to the time zone difference, you'll lose 9 hours traveling from Manchester to Jabiru (Kakadu National Park). Cap off your sightseeing on the 14th (Sat) early enough to travel to Uluru-Kata Tjuta National Park. Take a break from the city and head to Uluru and Kata Tjuta. There's lots more to do: identify plant and animal life at Kuniya Walk, browse the exhibits of Walkatjara Art, get outside with Walpa Gorge, and get your bearings at Uluru-Kata Tjuta Cultural Centre. To see photos, reviews, maps, and other tourist information, you can read our Uluru-Kata Tjuta National Park attractions site . Getting from Jabiru (Kakadu National Park) to Uluru-Kata Tjuta National Park by combination of bus and flight takes about 9.5 hours. Other options: drive; or do a combination of car and flight. September in Uluru-Kata Tjuta National Park sees daily highs of 33°C and lows of 12°C at night. Wrap up your sightseeing on the 17th (Tue) early enough to travel to Sydney. Escape the urban bustle at Bondi Beach and Dolphin & Whale Watching. The Rocks and St Thomas Becket Church will appeal to history buffs. The adventure continues: tour the pleasant surroundings at Manly Beach, take in the views from Sydney Harbour Bridge, trek along The Opera House to the Botanic Gardens Walk, and pause for some photo ops at Mrs Macquarie's Chair. To find traveler tips, maps, photos, and more tourist information, you can read our Sydney online trip builder . 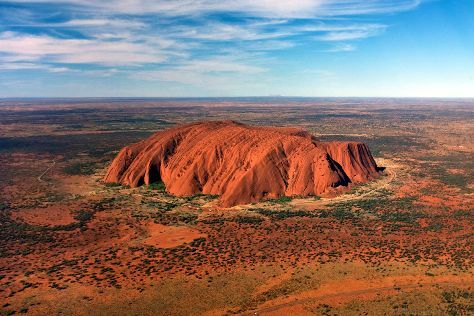 Traveling by flight from Uluru-Kata Tjuta National Park to Sydney takes 5.5 hours. Alternatively, you can drive. When traveling from Uluru-Kata Tjuta National Park in September, plan for little chillier days in Sydney, with highs around 25°C, while nights are about the same with lows around 14°C. 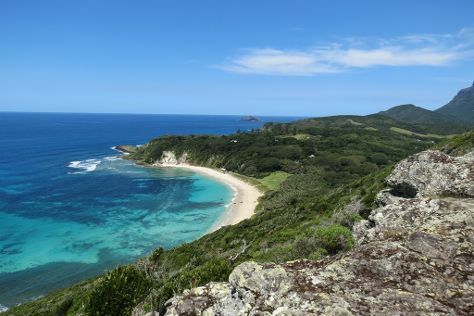 Wrap up your sightseeing on the 20th (Fri) to allow time to travel to Lord Howe Island. Get in touch with nature at Ned's Beach and Scuba & Snorkeling. There's still lots to do: tour the pleasant surroundings at Lagoon Beach, cast your line with a fishing tour, learn more about the world around you at Lord Howe Island Museum, and take in the dramatic natural features at Ball's Pyramid. Take the guesswork out of planning a Lord Howe Island vacation by using our trip itinerary maker. You can fly from Sydney to Lord Howe Island in 3.5 hours. Finish your sightseeing early on the 23rd (Mon) so you can travel to Port Douglas. Escape the urban bustle at Scuba & Snorkeling and Safaris. There's much more to do: relax in the rural setting at Hartley's Crocodile Adventures, look for gifts at With Sugar, learn about wildlife with up-close encounters at Wildlife Habitat Port Douglas, and get outside with Horses in Port. To find traveler tips, photos, other places to visit, and other tourist information, refer to the Port Douglas vacation maker . You can do a combination of flight and shuttle from Lord Howe Island to Port Douglas in 7.5 hours. In September, plan for daily highs up to 33°C, and evening lows to 22°C. Finish your sightseeing early on the 26th (Thu) so you can drive to Cairns. Visiting Scuba & Snorkeling and Nature & Wildlife Tours will get you outdoors. You'll get in some beach time at Palm Cove Beach and Trinity Beach. There's more to do: explore the striking landscape at Earl Hill. To find where to stay, traveler tips, ratings, and other tourist information, read Cairns trip tool . Traveling by car from Port Douglas to Cairns takes 1.5 hours. Alternatively, you can take a bus; or take a shuttle. Expect a daytime high around 33°C in September, and nighttime lows around 22°C. Wrap up your sightseeing on the 29th (Sun) early enough to travel back home.